iPad is fun. Intuitive user-interface, exceptional iPad app browsing, heavenly experience and a sort of other engaging menus to get enticed with. iPad is realistic having a bunch of features for enticing the users. Well, technology has played an exceptional role in making the iPads as well as iPhones popular among the users. 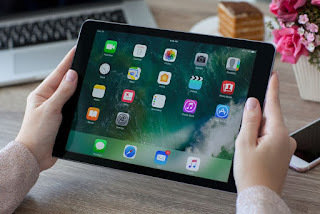 Browsing through an iPad is itself an exceptional experience, adding outstanding apps into the same is sure to take user’s experience to all new level altogether. There are a number of iPad apps that are quite addictive and you may not resist playing them all across the day. As it is said earlier, iPad itself is addictive, add on of exceptional games thus makes the device browsing more pleasing for the users. With this sole concern in the mind, iPad app development companies aim to create such functional apps that can easily attract the attention of the users. As apps for Android are continuously offering a wonderful experience to the users, it has left no option for the iPad developers other than working more dedicatedly on iPad app development interfaces. As the rivalry is growing continuously (app development regime), iPad developers have now started working on apps that could surpass the browsing experience of Android users. Here is a roundup of the most exceptional apps that users are sure to get addicted to this year. This iPad app comes for free and keeps all your credit card information secured. The sensitive information of your card is kept saved within the app so that the attempts against data hacking can be checked. The app can easily be synchronized with other devices such as desktops and laptops in order to secure the information in your devices too. This iPad application can be used with AirWatch console so that all the devices in a company can be managed easily. Such an app is exceptional for the companies that are wishing to establish a connection between different teams and employees as individuals. With a single app that keeps track of everything, it gets easy to manage things. As per the ongoing trend of “bring your own device” or BYOD to the business, the app makes it easy to control the security feature. uMake is already hit among the enterprise-focused Apple’s tablets. The app has got a great combination of graphics tablet as well as the clarity of 3D visualizer. The most exceptional thing about this great app is that using the Apple’s pencils, users can easily draw 2D sketch in 3D space. Moreover, users can additionally control the color, which makes it easy to draw rapid sketches and complex drawing as well. iPad app development has truly flourished in the past few years. And the exceptional growth in the number of apps that are focused only for the iPad have made the experience much more enriching for the users. In addition to this, these apps have got an exceptional interface and outstanding features for the users too. This makes the app using experience more delighted for the users. More to this, the addition of the iPad is only growing among the audience and thus it is the right time for developers to create an app of their own. Appdexa has remained one among the most exceptional marketplaces worldwide. The platform has helped a number of App development companies to flourish their client base in different locations across the world. Showcasing your services over a well renowned platform also authenticates the services from a particular company.